Let your mug take you to the seaside... these beautiful watercolour landscapes are perfect for you coffee or tea breaks and provide a truly relaxing moment. 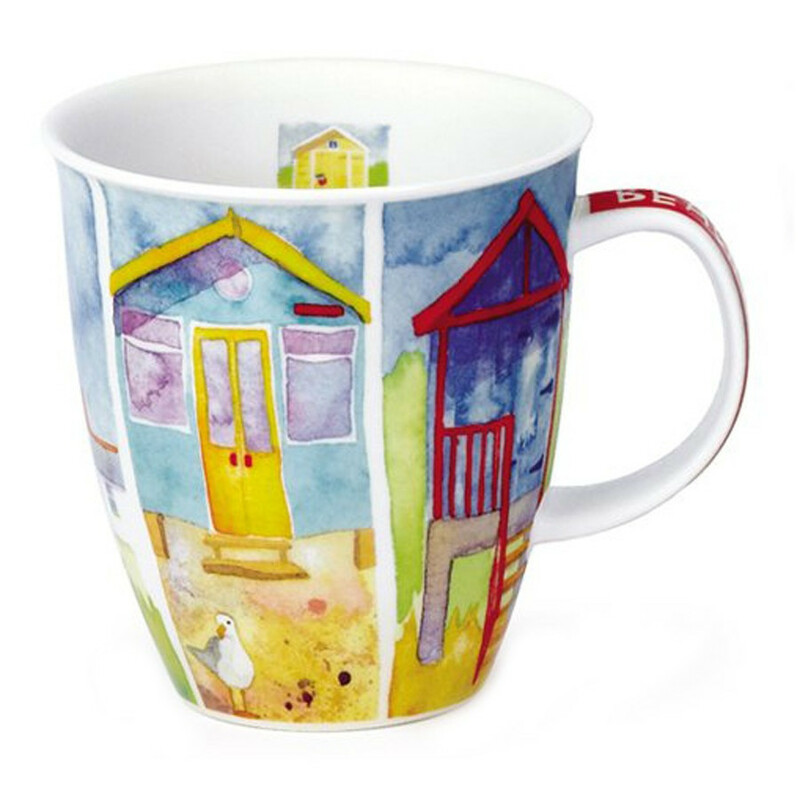 Let your mug take you to the seaside... these beautiful watercolour landscapes are perfect for you coffee or tea breaks and provide a truly relaxing moment. They are made with fin bone china porcelain. Microwaveable and dishwasher safe. - Cabanon : "beatch huts"
- Phare : "to the lighthouse"
- Port : "to the harbour"
- Oiseau : "puffin island"
In the beginning... The company takes its name from a small coastal town in Scotland. The first factory is created in 1973. A philosophy of excellence... Thanks to a highly qualified staff and a permanent concern for quality, Dunoon creates each year more than 200 new designs and develops new shapes in order to offer the widest and the best range of porcelains. Fine Bone China was developed by English porcelain masters in the end of the eighteenth century. Clay is enriched with bone powder, which makes it exceptionally strong after firing. This porcelain is also remarkable for its whiteness and transparency.